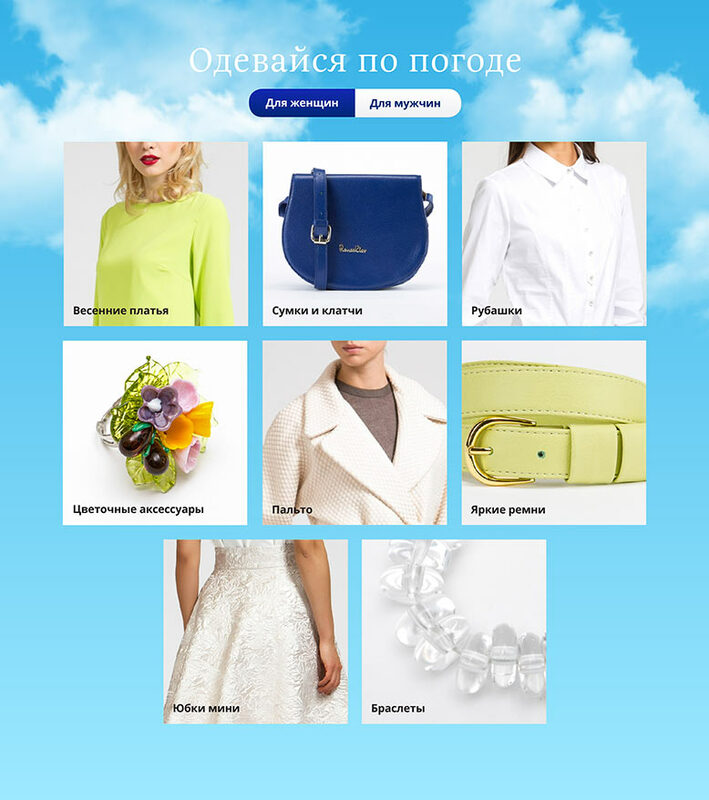 Task: to make shopping in an online store on various devices easier. 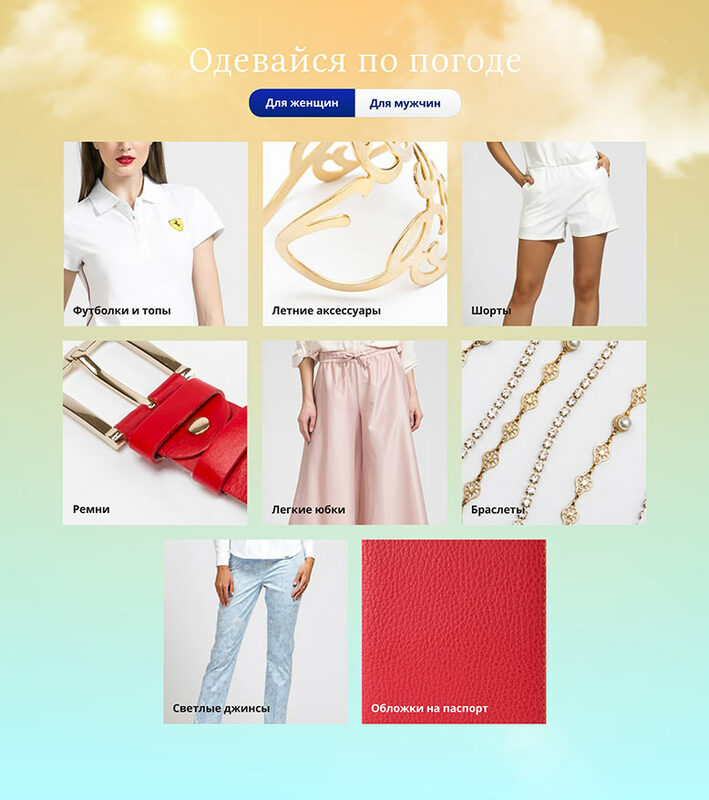 Elegant online store sells fashion clothes and delivers them all over the country. Visitor statistics collected by the first version of the website was used to improve navigation system and redesign key pages. 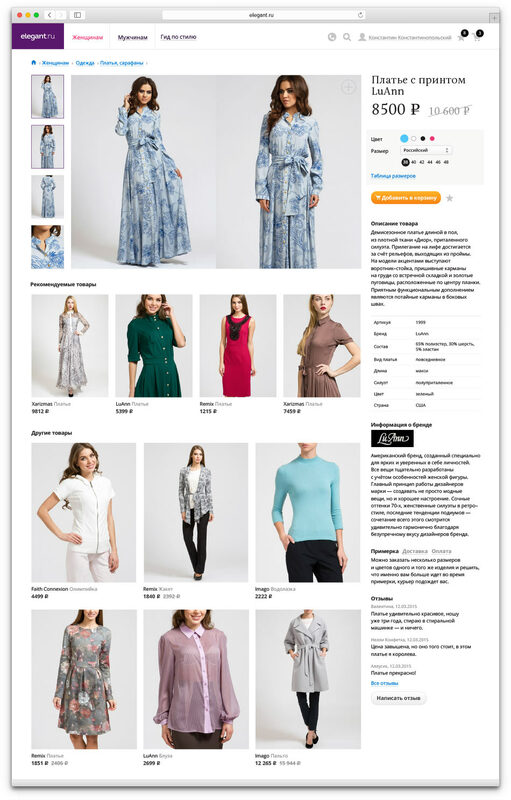 Users can now access the website on any device, place orders quickly, easily navigate the variety of brands and receive information on new arrivals in a timely manner. Owners of widescreen monitors are able to see all photographs of the chosen item at once plus images of several other products in the same category as well as recommended items. 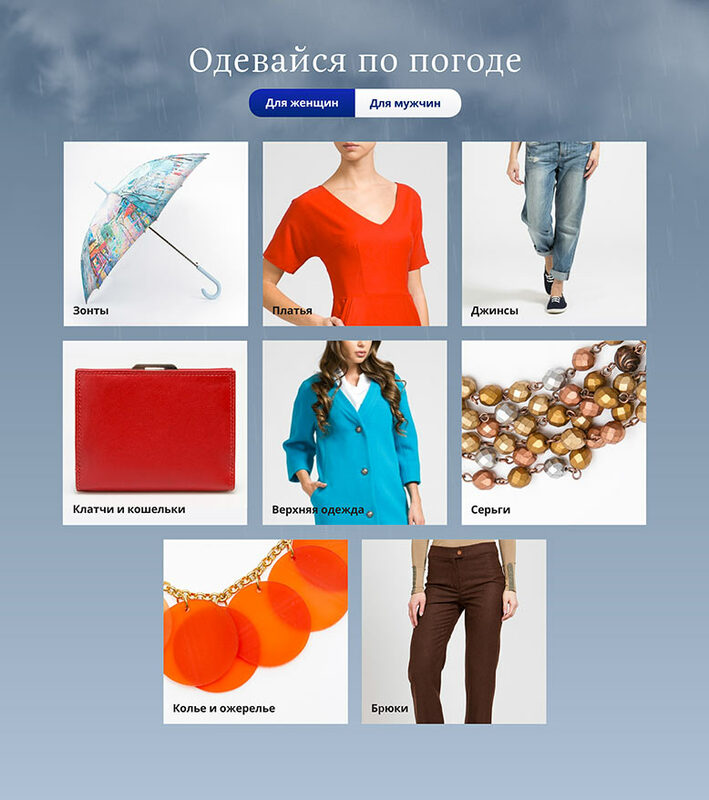 A special set of layouts was developed for the mobile version of the website.